The spellbinding tale of hustler Edgar Laplante-the king of Jazz Age con artists-who becomes the victim of his own dangerous game. Edgar Laplante was a smalltime grifter, an erstwhile vaudeville performer, and an unabashed charmer. But after years of playing thankless gigs and traveling with medicine shows, he decided to undertake the most demanding and bravura performance of his life. In the fall of 1917, Laplante reinvented himself as Chief White Elk: war hero, sports star, civil rights campaigner, Cherokee nation leader-and total fraud. 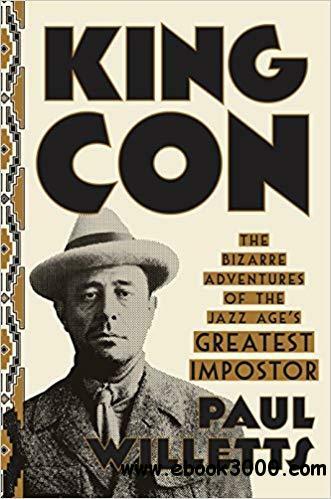 In King Con, Paul Willetts brings this previously untold story to life in all its surprising absurdity, showing us how our tremendous capacity for belief and our longstanding obsession with celebrity can make fools of us all-and proving that sometimes truth is stranger than fiction.